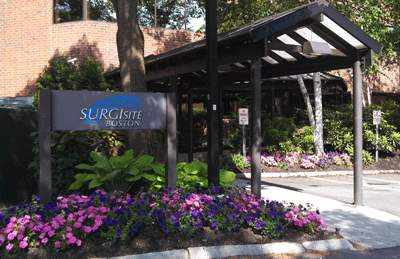 Surgisite Boston is a modern ambulatory surgery center that is used by 70 ophthalmologists from throughout the region. Surgisite aims to best serve both patients and physicians by acting quickly to adopt new technologies and create a comfortable, accessible environment for treatment. We take pride in ensuring that your experience here is a pleasant and comfortable one. Surgisite Boston will provide you with a safe, affordable alternative to the traditional hospital-based system of vision care. Additionally, same-day outpatient surgery allows patients to recuperate in the comfort of their own homes without the anxiety associated with a hospital stay.